COMPANY OVERVIEW: The fruity flavour of Jeeves, a quintessentially British punch, is perfect for an afternoon refreshment – with hints of orange, gin flavours and notes of aromatic vermouth and herbal bitters, there’s something for everyone. For the ultimate vintage feel, serve from 50’s style punch bowls with smatterings of fruit for all to enjoy. Order through our Facebook page, Jeeves Official. 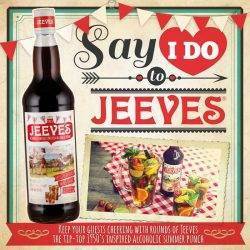 Just send us a private message with your address, contact number and the number of cases of Jeeves you’d like for your big day. One case of six bottles is £30 – minimum order two cases. 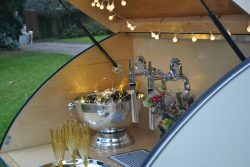 COMPANY OVERVIEW: A stylish custom built mobile bar serving chilled Prosecco on tap to your guests. Adding a touch of glamour to every wedding. 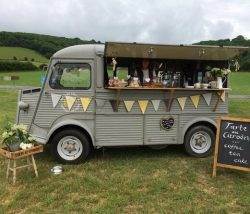 COMPANY OVERVIEW: Nicole is a beautiful vintage Citroën H van converted into a coffee bar, selling expertly crafted coffee, luxury tea and home made cake. 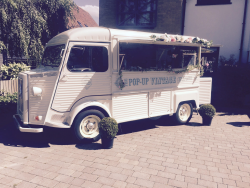 COMPANY OVERVIEW: Taste the Love is a bespoke wedding catering company. We specialise in relaxed dining with fabulous food full of colour and flavour. From picnics to Persian feasts, we create the food you want to eat on your big day. COMPANY OVERVIEW: TSC is the story of a vegan rainbow-haired French baker (secretly a mermaid too) obsessed with cakes, cats, weddings, tattoos and tea. 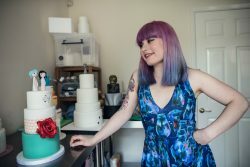 My cakes are made with love and they are designed to fit you and your unique personality! My style is weird meets cute meets sparkles meets nonsense meets wonderland meets flowers meets one of a kind. 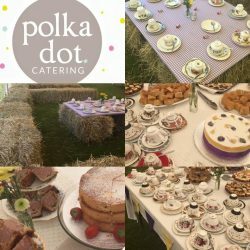 COMPANY OVERVIEW: Independent award winning vintage tearooms based in rural Staffordshire and outside catering company covering everything from a vintage wedding to a barn dance. 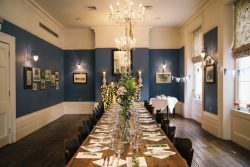 COMPANY OVERVIEW: A handpicked collection of relaxed, intimate wedding venues in some of London’s most loved iconic pubs. 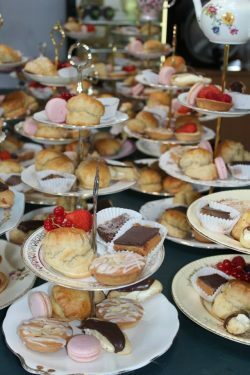 COMPANY OVERVIEW: At Vintage Afternoon Teas, we pride ourselves on our delicious, homebaked afternoon teas, our professional, friendly service and our attention to detail. We offer a personal service, designing a menu just for you and your guests. We employ a small team of lovely waiters and waitresses (in vintage pinnies) if you need them. Vintage Afternoon Teas is delighted to hold a 5 star rating in the Food Hygiene Ratings given by Warrington Borough Council. 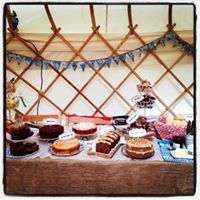 COMPANY OVERVIEW: VintageBE's Pop Up Tea Room offers style, delicious homemade cakes, bakes & cordials. They have an eclectic array of vintage crockery, props and a sprinkling of nostalgic charm, a perfect accompaniment to your wedding, hen or tea party. 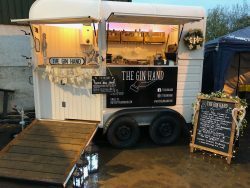 They can be found at various fairs and events in the Bedfordshire, Hertfordshire and Buckinghamshire area.